Balochistan is the largest Province of Pakistan which is in the South-West of the country. Quetta is the largest city of Balochistan and the Provincial capital as well. The border of the province connects with the Punjab and FATA from the North-Eastern side. It joins Sindh on the South-East, the Arabian Sea is in its South whereas Iran is in its West and Afghanistan is in its North. The total area of Balochistan is 347,190 square kilometres (134,050 square miles) which constitutes 44% of Pakistan. Balochistan is the South-Eastern part of the Persian plateau which stretches to the opening of the Hormuz Strait. The Hormuz Strait provides the shortest sea-port route towards Central Asia. Balochistan consists of 32 districts and its population comprises of Baloch, Pashtun and Brahvi. The population includes some other smaller communities like Iranian Baloch, Hazara, Sindhi, Punjabi, the Uzbek and Turkmen as well. 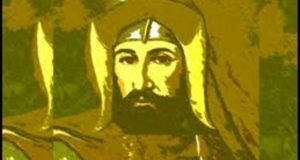 Furthermore a number of sub-tribes also exist there which include; Rind, Lashari, Marri, Jamot, Ahmedzai, Bugti Domki, Magsi, Kenazai, Khosa, Rakhashani, Dashti, Umrani, Nosherwani, Gichki, Buledi, Notazai, Sanjarani, Meerwani, Zahrozai, langove, kenazai and Khidai. Balochi is the major language of Balochistan and 54.8% people speak it. 29.6% people speak Pashto, 5.6% Sindhi, 2.5% Punjabi and 2.4% speak Saraiki. 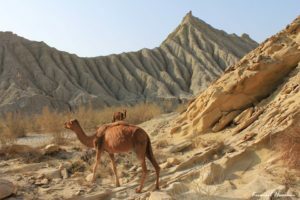 Balochistan has a rich and unique cultural value irrespective of its parched desert climate and obviously for the Mountain of Sulaiman. It has huge reservoirs of natural gas, coal and the minerals as well as the fishing harbors. Gwadar Deep Seaport Project and Mirani Dam are prominent projects of Balochistan. The largest ship-breaking yards in the world, is also along its coastline. It is famous for the Nuclear Explosions experiments of Pakistan in Chaghai area of the province. People of Balochistan celebrate many social and religious carnivals as well. The religious festivals are Eid-ul-Fitr, Eid-ul-Adha and Eid Melad-un-Nabi (birthday of Prophet Muhammad P.B.U.H). Sibi festival is another popular carnival and folk from all around the province come to participate in it with fervor and zeal. It is full of gala, folk music, cultural dance, handicrafts exhibition, cattle show and a lot more amusing activities. Buzkashi is one such game of valor which Balochi people play with whole enthusiasm. Two teams play it while riding on the horse. They passionately struggle for the possession of a goat and use of different tactics, traits and tricks for snatching it. 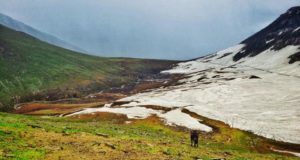 The climate of the upper-side highlands is very cold in winters and hot in the summers. Contrary to it the temperatures vary in the lowlands where winters are extremely cold in Northern Districts like Ziarat, Quetta, Qalat, Muslim Bagh and Khanozai, yet the coastal areas of Makran are mild. 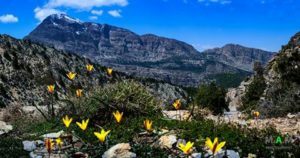 Rather the plain areas are mild in the winters where temperature never falls to the zero but summers are mainly hot and dry, especially in the Chaghai and Kharan Districts. Hot areas include Turbat and Dalbandin. 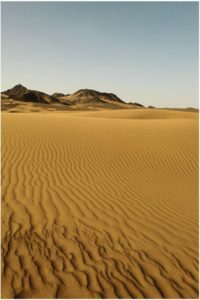 The climate of Desert remains usually very hot with strong windstorms which often occur over there. Gwadar is a port city and it locates in the South-Western coastline of Balochistan, Pakistan. The city lies along the shores of the Arabian Sea, which stretches over 700 kilometres in the West of Karachi. Gwadar is more nearer to the border with Iran. It is in the East of the Persian Gulf and opposite to Oman. Sultanate of Muscat and Oman owns the area of Gwadar from 1783 to 8th December, 1958 when Pakistan purchased it from Oman. The territory later integrated into Balochistan province on 1st July, 1977, as Gwadar District. Astola Island has different names to call upon like Jazeera Haft-Talar, Satadip or an ‘Island of the Seven Hills’. It is a small Pakistani island in the Arabian Sea. The island is about 25 kilometres (16 miles) to the South of the nearest coastline and 39 kilometres (24 miles) away from fishing harbor of Pasni in the South-East. Astola is the largest offshore island of Pakistan which is nearly 6.7 kilometres (4.2 miles) long. Its width is about 2.3 kilometres (1.4 miles) and total area of the island nearly 6.7 square kilometres (2.6 square miles). The highest point of Astola is 246 feet (75 metres) above sea level. The island is a part of the Pasni, District Gwadar in Balochistan. The island is accessible by the motor-boat from Pasni. It takes about 5 hours to reach there at the Astola Island. The Bolan Pass is in the Toba Kakar Range of Balochistan of Western side of Pakistan. It is 120 kilometres (74.6 miles) away from the Pak-Afghan border. This Pass connects Jacobabad and Sibi to Quetta by road and railway as well and formed by gorges. It is 89 kilometre (55 miles) away from Rindli in the North to Darwaza Pass which is near Kolpur. It is a gateway to South Asia for the traders, invaders, and also for the nomadic tribes. Bolan Pass has a significant place in the history because of British and Afghan expeditions. Population of the area consists of Brahvi tribes which extend from Bolan Pass to Cape Monze along the Arabian Sea. Mehrgarh is a significant Neolithic place which has links back to the 7000 BCE to C. 2500/2000 BCE era. This site is in the West of valley of river Indus near Bolan Pass. It stretches on the Kacchi Plain of Balochistan, Pakistan. The oldest settlement of the Mehrgarh is in the North-East side of this 495-acre (2.00 square kilometres) site. It was a small farming village which was once tenanted back in the 6500 BCE. It is one of those few ancient sites of South Asia, which have documented indications of the farming and herding. The site was discovered by an archaeological team, led by the famous French archaeologists Jean-François Jarrige and Catherine Jarrige in 1974. The archaeologists continuously explored it during 1974-1986 and 1997-2000. About 32,000 relics were collected from the site. Mehrgarh is now considers as a precursor to the Indus Valley Civilization because of displaying the sequence from the ancient settlements, from where agricultural turned into the more mature civilization like the Harappa Civilization. 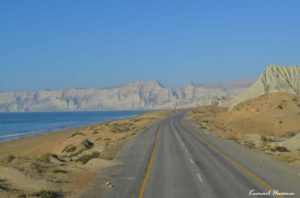 Makran Coastal Highway or National Highway 10 is a 653 kilometres long highway of Pakistan. It leads from Karachi to Gwadar and passes through Ormara and Pasni. The highway was constructed by Pakistan’s Frontier Works Organization (FWO) which has also accreted for constructions of the Karakorum Highway (KKH). Construction of the Makran Coastal Highway Project started in 2002 and completed on 14th December 2004. National Highway Authority is responsible for its management and maintenance. Hingol National Park is in South-Western Balochistan, along the Makran coast. 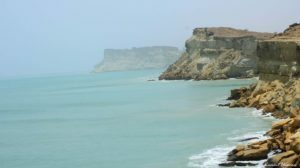 It lies between Lasbela District, Gwadar District, and Awaran District of the province. The Gulf of Oman, in the Arabian Sea is in the South of it. Karachi is about 190 kilometres (120 miles) away from the park and in the South-East of the coastline. 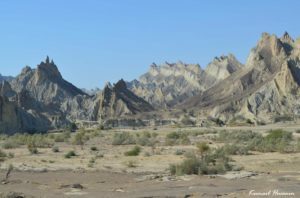 Hingol National Park covers an area of 1,650 square kilometres (640 square miles) and it is the largest National Park in Pakistan. It was established in 1988. Hingol National Park holds a variety of topographical landscape and habitats. 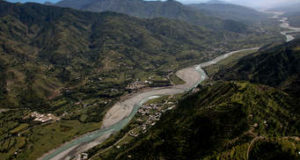 It comprises of arid sub-tropical forest which lies in the North and arid montane in the West. 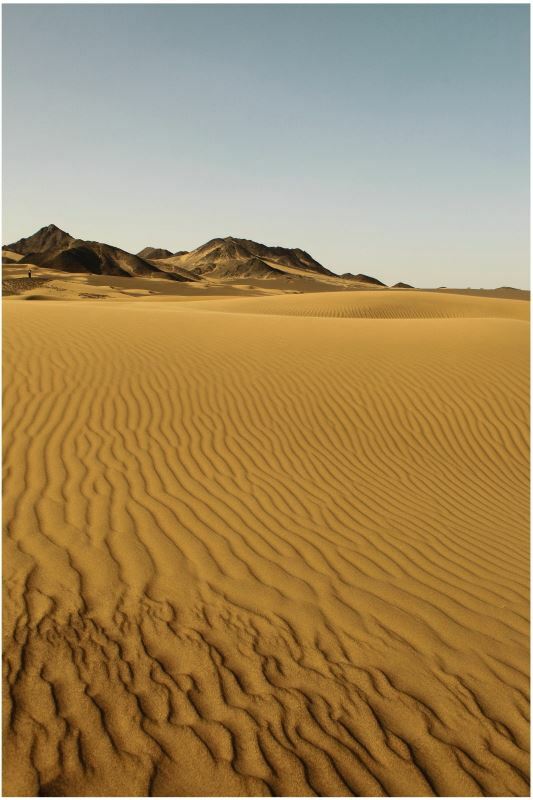 Park has drifts of sand and can be classified as coastal semi desert. The estuary of the river Hingol supports the biodiversity of the park such as bird and fish species. There are some 250 plant varieties found in the primary surveys. Hingol National Park has reserves of at least 35 species of mammals, 65 species of amphibians and reptiles as well as 185 species of birds. The park is an excellent habitat of the wild Sindh ibex, Baluchistan Urial and Chinkara Gazelle. Ibex is found in the all steep mountain ranges and in the Hinglaj and Rodani Kacho Mountain areas also. 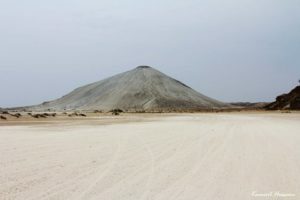 Chandragup is an active mud volcano of Balochistan which is at the height of 100 meters. It is also known as Chandrakup which is a holy place of the Hindus. The volcano is a stop for the pilgrims on their way to the shrine of Devi, which is a goddess at Hinglaj. ‘Hinglaj temple’ or ‘Nani Temple’ is ancient sacred Hindu place which is near the Chandargup. The word Chandragup is derived from the word ‘Chandargupt’. Another name is ‘Chandra coop’ which literally means Volcanoes of the Moon. The Hindus worship these mud volcanoes as the habitation of a deity Babhaknath. 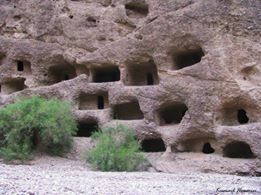 Gondrani Cave City or Shehr-e-Roghan is in Lasbela. It is an archaeological site near the town of Bela in Balochistan. The cave dwells the Gondrani or the house of the Spirits. This is the town of Mai Goudrani. These caves of Gondrani are locally called as “Puraney Ghar” and carved from the solid conglomerate rocks at certain levels which are connected to footpath. All the rooms have hearths and wall-slots for the lamps. There are verandahs or porch in front of the rooms. There were around 1500 caves but now one can find only 500 of them. These caves are in devastating condition and slowly grinding down. The side direly needs conservation and protection because it is of great archaeological significance. Since Egypt has the Great Sphinx of Giza, Pakistan is second to none. 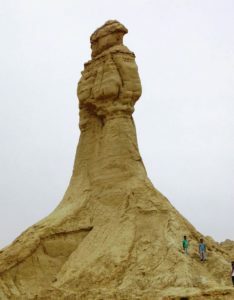 In the Hingol National Park of Balochistan, there is a sphinx, the Princess of Hope. The statue resembles to the Sphinx of Egypt yet it is a formation, carved by the winds and rain. Princess sits on a top of a mountain. 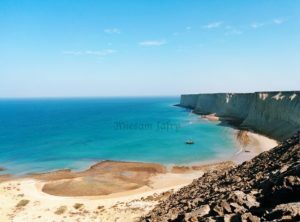 It is about 155 kilometres (155 miles) away from Karachi, along the Makran Coastal Highway. The statue of Princess of Hope found in Hingol National Park. The name “Princess of Hope” was adorned by the popular Hollywood actress Angelina Jolie while she was visiting to the site. I have you bookmarked to take a look at new material you post. I m a nature lover and an engineer by profession but didn’t have much ability or motivation for gathering this informative knowledge about our country. I will check yours too. Hello to every one, it’s genuinely a nice for me to pay a quick visit this web site, it consists of priceless Information.